The common notion is that social media is all about generating brand awareness and engaging your prospects. It is generally believed that users who frequent these platforms are unlikely to follow a link to your website or convert. However, a smart marketer knows that Social media is omnipresent. It can influence decision making from brand awareness to advocacy. If we study consumer behavior from the time they are exposed to a brand to the point at which they become brand advocates we find that the journey is not linear. Optimizing the customer experience at each of these touchpoints, therefore, becomes crucial and contributes to turning a cold lead into a profit-generating customer. Developing a social media funnel mindset can help you to fine-tune your strategy, build engagement with your audience, and most importantly, increase conversions at each stage of the buyer’s journey. Here’s how you can employ social media marketing in the 5 stages of the sales funnels. Social media has proven to be one of the most powerful channels to generate awareness. On an average 2.3 Billion, people spend 1.4 hrs. daily on social media platforms sharing their thoughts and opinions and talking to others. This is the time to create a strong first impression and establish yourself as an authority in your segment or industry. Your actions at this stage determine the quantity and quality of leads. The strategy at this stage is to introduce your brand to the customer by posting content, which grabs the attention of your audience. The great thing about including social in your marketing arsenal is that it can help you reach a much wider audience without a large marketing budget. Know your Target audience- Invest some time in figuring out what kind of customers are likely to be interested in your products; their age, education interests and online behavior. Determine which social media platforms would be suitable for your business- Instagram, Facebook, Snapchat or Pinterest. Figure out the best time and frequency to post. Explore a different kind of content forms for your promotions- images, videos, live stories, long-form videos, infographics. Advertise on all relevant social networks. The frequency of your posts and ads is relevant; top of sight remains top of mind. 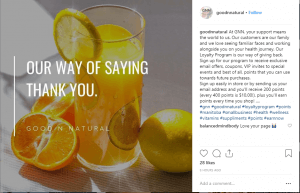 Tying up with prominent influencers and micro-influencers in your industry is a great way to create a buzz around your brand’s products and services. The customer is now aware that you exist as a choice among all the other brands offering similar products or services. It is the time to nurture and even validate leads. Engaged customers are more likely to remember your brand and buy from it. You can use the metrics collected in the previous stage to build your social media messages at this stage. Determine the nature of posts that generated maximum interest and create content that engages your customers and differentiates your product while answering the question why should they buy from you. You could also host contests or giveaways and organize events including live Q&A’s, webinars, competitions, or live events. Use data collected at this stage to create targeted offers for people who have regularly engaged with your posts and send them via direct messaging available on most social media platforms. On Facebook and Instagram, you can create a custom audience that includes everyone who ever liked or commented on your updates so you can market to them again. You can even create a lookalike audience which is derived from a source say your custom audience – to target a new set of audience that is likely to be interested in your products. This is the most crucial stage of the marketing funnel. As a marketer, it falls on you to nudge your prospective customers to finally take an action. This can take the form of signing up for a newsletter or free trial, downloading a brochure or making a purchase. 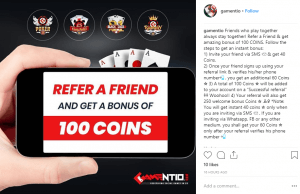 Facebook and Instagram ads with limited time offer or coupons. Facebook re-marketing ads with offers. Integrate your ordering platform into social media channels. Depending on the industry you are in, retaining a current customer costs you 3-10 times less than acquiring a new one. So, once a customer has made a purchase from you is the time you should step up your marketing efforts to make him/her a regular. Social media can be a great tool at this stage. Collect feedback on your products and services. Showcase and build on your positive reviews. Launch frequent buyer programs or loyalty program which can provide your loyal customer base with special deals and discounts. Promote your loyalty programs via social media post and ads. Involving social actions in your rewards program will increase the likelihood that your brand is shared across your customers’ social media networks. link rewards and points to an action you want your customers to take- it could be anything from sharing your posts to posting pics with your products. Turning loyal customers into proactive advocates for your business should be the ultimate goal of your marketing funnel. People are more likely to trust a brand recommended by their friends than any other form of advertising. Referral programs are excellent ways to turn loyal customers into brand ambassadors for your business. 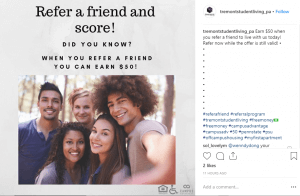 Having a referral program is much like running targeted promotions as your customers are most likely to refer friends who would be interested in your products. Make it easy for customers to share your brand’s products and/or services with their friends. Include relevant sharing options (email, Facebook, Twitter, Google, etc.). Promote your referral program through post and ads on social media. Offer incentives to customers talking about your products on social media channels. Incentives for getting people to sign- up for your loyalty program.